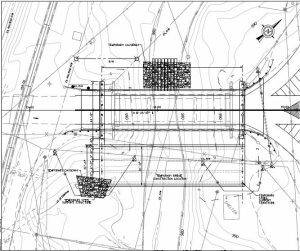 Description: The West Virginia Department of Transportation’s Division of Highways replaced the Basnettville Bridge in a planned 5-day closure in August 2016. The ABC elements utilized in design of this project were precast abutment caps, precast approach slabs, and lateral slide superstructure system. 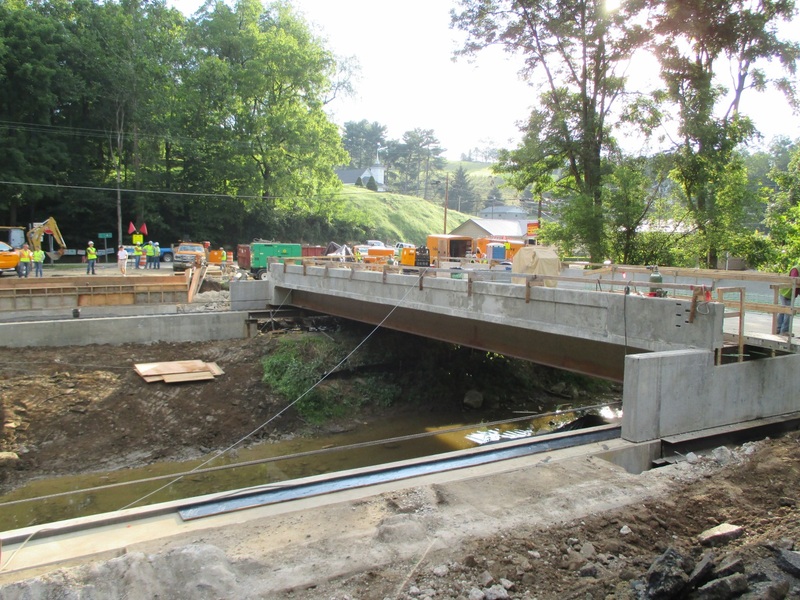 The replacement bridge was constructed parallel to the existing single-span bridge, 30 feet downstream. 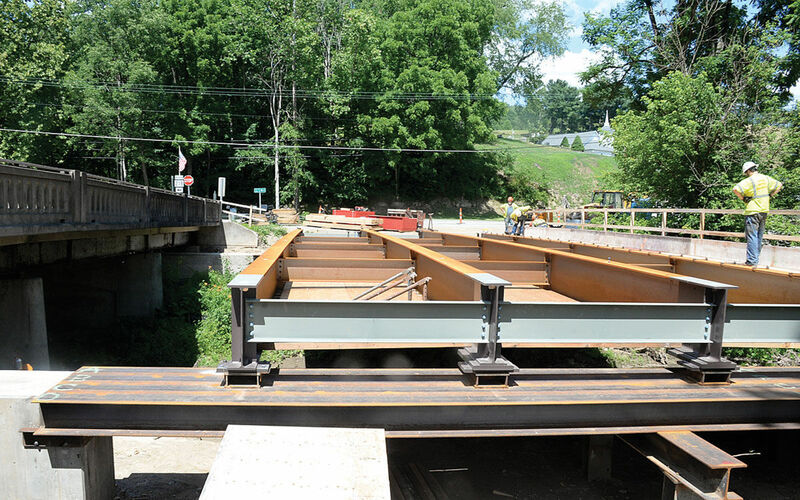 Temporary supports were placed on pre-drilled and driven H-piles, and the new bridge span was constructed in its entirety from the beam seats up. 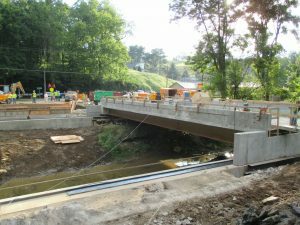 The abutment caps were cast in place in front of the existing abutments founded on dual H-piles placed outside the footprint of the existing bridge. 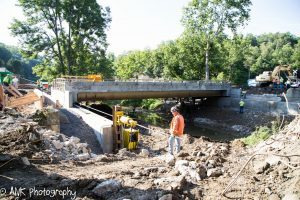 Upon completion of the new bridge elements, the existing bridge was closed to traffic and demolished. The new bridge was slid into place, jacked vertically to place the elastomeric bearings, and lowered into its final position. 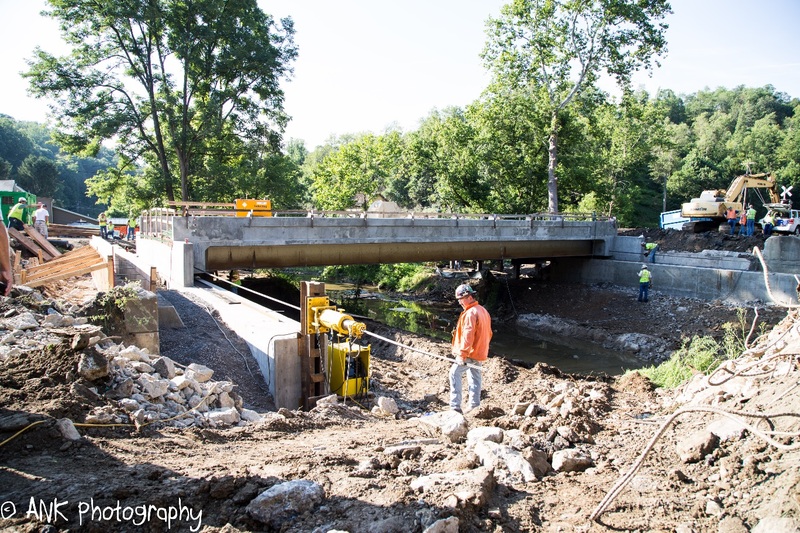 The approaches were finished with temporary lane closures. This presentation includes design and construction details as well as lessons learned.